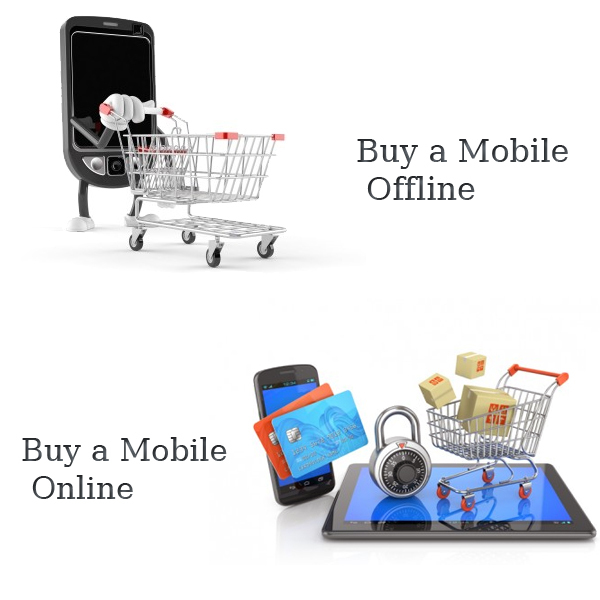 People often buy a smartphone to fulfill their need; either through online or through offline. Now life of human being is filled with lots of works. Finding a suitable mobile to buy as per requirement has becoming a tough task in everyday’s busy life. Some people are filled with doubt about buying a mobile from any online store, thinking that they got fudge by these stores or they found uncomfortable to shop online because the product is not physically available to see couldn’t be admit-table, they should prefer buy a mobile from retail stores or local stores and dealers. Some people that have lack of time and their life is full of busy schedule then, nothing is good than buy a smartphone online which also offers the phone in less price than market price with lots of extra benefits. Although, both modes have merits and demerits, but must to remember things are to select a best phone with full awareness at best price through any of mode. When you are planning to buy a handset through online stores, then you should take care of following things which may help you to select a phone with good value. Check the profile of Seller – Before buying any mobile from online store, you should visit the vendor’s profile once and also check the ratings for the vendor’s product. You need to check their product delivery rate also to purchase the mobile phone. Product should be feasible with less price value – eCommerce companies usually offer lots of discount on their products, people get various discount when shop through these marketplace. Every people who wish to buy a phone from any marketplace then, they should check the price, offered discount on the product. Availability of the product – Online stores provide almost all mobiles with best price. Even, it also added products which were launched recently. But you need to check the availability of the product in your region. They add products to their stores but don’t provide in every region. So, you must be aware about the shipping of the mobile that it would be possible in your region or not. Buying a mobile phone through local mobile stores is also not an easy task to perform. This is also need to keep an eye on every step which is must to buy a mobile from any local or retail store. Check Seal and get the bill with TIN Number – If you are planning to buy a smartphone through local stores then, you should check the seal of the box. The box is sealed pack or not. You should also get the bill with TIN Number for verification of the product purchase. Check the price of the mobile and purchase from authorized dealer – Before purchasing the phone, collect the price details of the mobile from different stores, as the product is priced different by different dealers. You also need to take care that the dealer is authorized or not. Check that box has all accessories – You need to make clear that box comprises all accessories provided with the product. Accessories like Charger, earphone, USB cable, battery etc are present in the box or not. Now choice is yours, which mode best suits to you. Whether you shop online or offline, by taking care of these simple things, you can choose a right mobile without any fraud and fudge.